WAVE MIRROR There is 1 product. 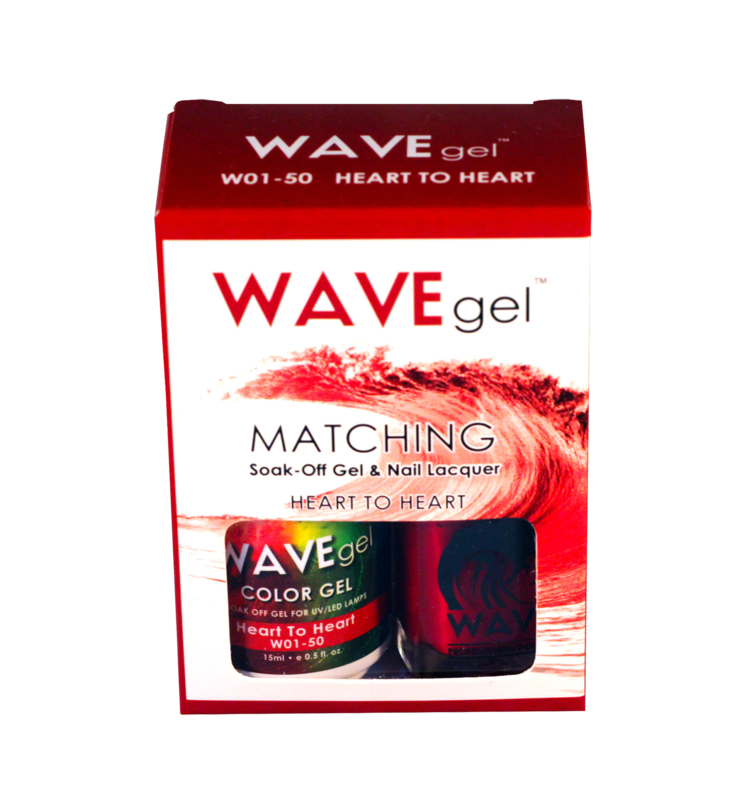 WAVEGEL CHROME METAL is the New Product formulated from the Germany technology & packaged in the USA. This product shows an exciting chrome effect & also 3D design where the light comes to you. The high standard level of quality. Step 1: Apply Wave Base Gel and Cure with UV/LED. Step 2: Apply Black Color Gel WCG80 or other dark color and Cure with UV/LED. Step 3: Put Wave Non-Wipe Top Gel. Step 4: Apply the powder with the brush. Step 5: Apply the Wave Non-Wipe Top Gel. 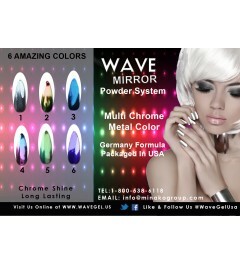 WAVEGEL CHROME METAL is the New Product formulated from the Germany technology & packaged in the USA. This product shows an exciting chrome effect & also 3D design where the light comes to you. The high standard level of quality.